I wrote a recent post about how to treat sinners based on Jesus’ words in Matthew 18:15-17. In the comments that followed, Luke had a great question about what to do with people who are destructive, and how to engage them when they are unrepentant. That got me thinking about the dynamic of relational reconciliation, and the process (yes, process) of forgiveness. This post is an attempt to engage more fully in the larger question about how to relate to people who offend us, and to provide a way forward — even if they never really repent. The Bible calls followers of Jesus to learn to live in forgiveness toward those who offend them. The problem is that many of us have wrong ideas about forgiveness. These wrong ideas can be simplistic ideas, imbalanced ideas, unreasonable ideas, and unhealthy ideas, which are all – at their core — unbiblical ideas. If our idea about forgiveness is wrong, then chances are, we’ll never find the way to forgiveness, which can lead to bigger problems in our relationship with God, and with others. 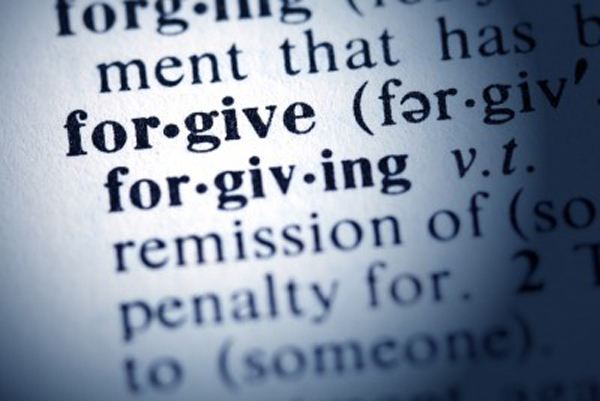 To begin, let us briefly look at some thoughts regarding what forgiveness is not! We all say things we don’t mean (good and bad). This is nothing less than insincerity, no matter how virtuous our words may sound. If forgiveness is offered as a mere verbalization, before an offended person has worked through their pain, the issues that caused the original offense will re-surface again and again. We should withhold a verbalization of forgiveness until we can offer it “from the heart.” If someone asks us to forgive them, we can say, “I will allow God to work in me so that forgiveness can happen.” We should not allow ourselves to be pushed, manipulated, commanded, or “guilted” into offering a verbalization of forgiveness until the inner-work has been done. But we should be careful to let God begin the work in us so that eventual “forgiveness from the heart” can fully happen. 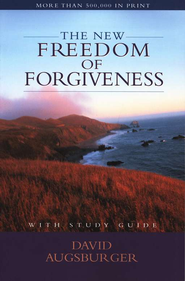 #2 – Forgiveness is not a denial of the reality that an offense has taken place. Christians are not called to deny reality. We are called to deal with it. This is not possible if we deny our hurt, believing that if we pretend something never happened, the pain of it will go away. Jesus’ exhortation was to face painful offenses, sins, and faults head-on with complete honesty. Those who minister in reconciliation and mediation must allow offended parties to fully express their pain, even if it takes multiple “sessions” or a long period of time to get to the core of it. The offended must not be rushed to “forgive” until they have fully expressed the “sins” and “faults” that were done “against [him].” Where full disclosure of offense can take place, full repentance can take place on the part of the offender. Where both of these are encouraged and not hurried, full restoration can take place. #3 – Forgiveness is not condoning the offensive actions of those who have hurt us. Matthew 18:15 “Moreover if your brother sins against you, go and tell him his fault between you and him alone. It is not judgmental to tell a brother that his actions were wrong, or even sinful. Christians are not called to condone sin. We are called to confront it so that those who cause offenses can face their own need to embrace responsibility for their actions, and find repentance which can lead to reconciliation. Our fellowship does not become sweeter when we ignore the pain we cause each other. It becomes sweeter when we call each other to “make good” on our claim to be followers of Jesus. When we do forgive, we are not saying that the wrong thing done was “okay” or that it was “no problem” or worse, that nothing wrong was actually done. We are saying that since the offender has “heard” us, we genuinely believe that their repentance was real, and that we are open to the possibility that our relationship can be healed even-though there has been an offense. 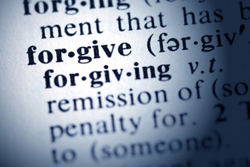 #4 – Forgiveness is not an invitation to an unrepentant offender to hurt us again and again. Repentance is the best indication that an offender understands what he has done. Those who are offended are to look for repentance before fully opening the door to a reconciled relationship. Fully actuated forgiveness is related to a belief that our offender has made a commitment to personal change. Rather than teaching “unconditional forgiveness”, Jesus taught that forgiveness can be actuated and fully experienced and expressed when an offender owns up to his actions through repentance. Those who are “sinned against” are to specifically look for repentance as they process their own need to forgive – and what that forgiveness implies. I strongly caution those who have been in abusive relationships to look for a long season of reform before they haphazardly enter back into an intimate relationship with an abuser. This is not forgiveness. It is ignorance and it is dangerous. Those who minister in mediation and reconciliation should help the offended person to process whether or not there is true, objective, and measurable evidence of repentance, a true desire to reconcile, and a reasonable assurance of safety before entering into any discussion of restored intimacy and proximity to an abusive offender. Regardless of any commitments from the offender, or the assurances of a mediator, deference must be given to the “sinned against” when considering when it is “safe” to be back in a state of intimate relationship. #5 – Forgiveness is not complete until the once-broken relationship is mended, and both parties have done all they can to move past the hurt. Matthew 18:15-17 “15 “Moreover if your brother sins against you, go and tell him his fault between you and him alone. If he hears you, you have gained your brother. 16 But if he will not hear, take with you one or two more, that ‘by the mouth of two or three witnesses every word may be established.’ 17 And if he refuses to hear them, tell it to the church. But if he refuses even to hear the church, let him be to you like a heathen and a tax collector. Those who minister in mediation and reconciliation must try to help both sides see what is lacking, and lovingly work toward restoration. “Authentic forgiveness is the mutual recognition that repentance is genuine and right relationships are achieved. Forgiving requires the grace to accept the other as an equal partner in the search for reconciliation and the genuineness to give repentance or to respond to another’s repentance with full trust and respect. Grace and truth, acceptance and confrontation, sacrifice and prophetic rebuke are needed in resolving alienation, injustice, or interpersonal injuries. In forgiveness we go to the sister; we seek out the brother; we rediscover each other. That is the goal of forgiveness. It was God’s way with us, it must be our way with each other. We are to forgive one another as God in Christ has forgiven us. Forgiveness is not finally complete until the severed friendship is mended. And the new weld of forgiveness should afterward result in a deeper, stronger union than existed before! The final step in forgiving is to do something to heal the wound until nothing remains but the forgotten scar. Forgiveness is acceptance with no exception. It accepts not only the hurt you’ve received, it accepts the one who did the hurting, and it accepts the loss caused by the hurtful actions or words. Seven times a day. In fact, seventy times seven.” (buy this book by clicking HERE). I’ll do another post on what forgiveness is, but I wanted to start here. I would really enjoy engaging with you about this in the comments below. Is anything I have written difficult to accept, new, or helpful?